Why can sailing by the lee sometimes be fast? It's counter-intuitive that pulling your boom in to catch less wind on a run can actually make you go faster. 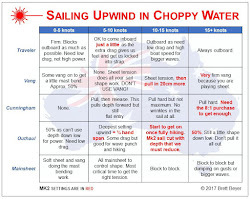 While this post is to help middle-of-the-fleet sailors, others might benefit from the following. 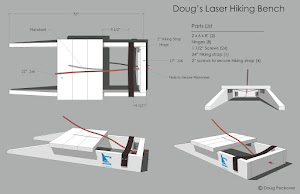 From a design perspective, the Laser's mast was revolutionary. But from an efficiency perspective, a Laser mast is located, like all other masts, exactly where you do not want it to be. 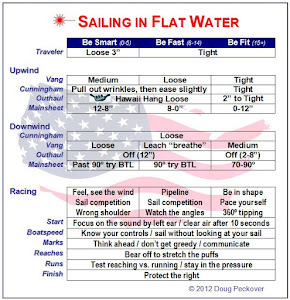 There's something else that is important - having the wind flow across the sail is fast. This is why sailing on a reach is faster than sailing on a run. And why asymmetrical spinnakers are faster than traditional spinnakers. And why a house roof that is low is more at risk in a hurricane than a higher roof with steeper angles. 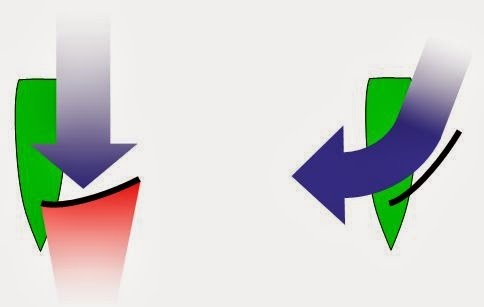 The reason is that the wind creates a lot more lift when it goes across an object than when it’s just trapped by an object. I try to steer with my weight, so bearing off is leaning out to heel to windward. As a result, the end of my boom actually torques back and up at the same time. It feels like I’m “scooping” more pressure and, when timed properly, it feels very fast. With the boom in, the pressure on the main sheet goes from hardly any pressure and wanting to jibe to really powered up and driving forward. Timing this power properly can be a great way to catch even small waves. Again, this can be fast. I like to set the vang so that the leach stretches and “breathes” back and forth about 8 inches. This is a completely natural and legal pumping motion, and a gift from the laws of physics. In addition, you can bear off or use your main sheet to pump the main once per wave. This is significant because you’re pumping the leading edge of the sail which is super effective because that’s where all of the lift comes from. This is the only time in sailing when you can pump the part of a sail that has all of the lift. Interesting commentary relating to house roof slope and great comments on sailing in general. I can't wait to start practicing these ideas! You're more than welcome. Let us know how it goes.